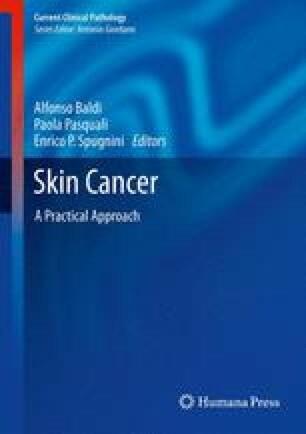 The role of systemic therapy in the management of soft tissue sarcoma and rare tumours of the skin is still extremely important. Even if the principal therapeutic approach in the localised disease is represented by surgery, in the metastatic setting, the role of surgery is still poorly defined, and a systemic approach becomes mandatory. Furthermore, the possible use of systemic therapies both in the adjuvant setting, with the aim of consolidating the results obtained through surgery, and in the neoadjuvant setting, in order to optimise the local control of the disease, has been recently assessed. For years, standard chemotherapy has represented the only systemic approach available in the treatment of soft tissue sarcoma and rare tumours of the skin: however, given the poor results obtained up today, newer compounds and target therapies are currently under active investigation. Additional cancer treatment given after the primary treatment to lower the risk that the cancer will come back. Treatment given as a first step to shrink a tumour before the main treatment, which is usually surgery, is given. The percentage of people in a study or treatment group who are alive for a certain period of time after they were diagnosed with or treated for a disease, such as cancer. The overall survival rate is often stated as a 5-year survival rate, which is the percentage of people in a study or treatment group who are alive 5 years after diagnosis or treatment. The length of time during and after treatment in which a patient is living with a disease that does not get worse. Non-epithelial extraskeletal tissue, including muscle, fat and fibrous supporting structures, arising mainly from embryonic mesoderm, with some neuroectodermal contribution. Ries LAG, Melbert D, Krapcho M, Stinchcomb DG, Howlader N, Horner MJ, Mariotto A, Miller BA, Feuer EJ, Altekruse SF, Lewis DR, Clegg L, Eisner MP, Reichman M, Edwards BK (editors). SEER Cancer Statistics Review, 1975–2005. Bethesda: National Cancer Institute; 2008. http://seer.cancer.gov/csr/1975_2005/, based on November 2007 SEER data submission, posted to the SEER web site.